Scratch is by far the most powerful educational software in existence. In fact, Scratch transcends the label "educational software" and is actually a programming language which can be used to create interactive stories, games, and animations. Scratch is also an online community which allows users to share and collaborate on projects. The potential of Scratch is revolutionary and its capacity to transform the educational process should not be underestimated. Scratch is free and it can be used as a stand alone application without an internet connection or Scratch can be used online with projects created and stored in "the cloud" on remote servers. 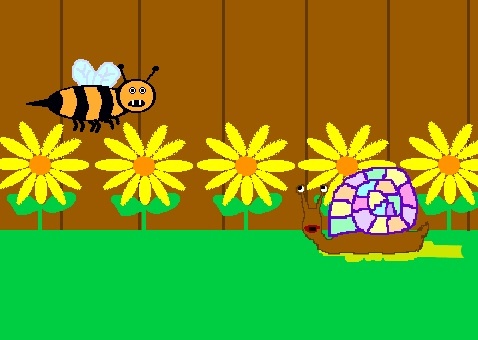 This musical animation tells the tale of a snail who escapes danger three times. Viewed over 3200 times at the Scratch website and over 3500 times in video form at YouTube, this little project may not have gone viral, but it was viewed by a fair number of people. Click here for more information about this project!